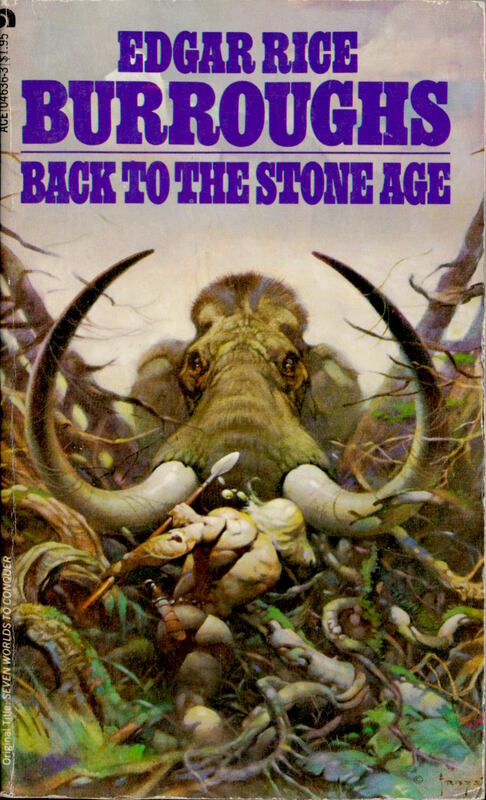 I scanned the cover of Back to the Stone Age by Edgar Rice Burroughs, with pulse-poundin’ art by Frank Frazetta, from the copy of the paperback edition in my personal library. 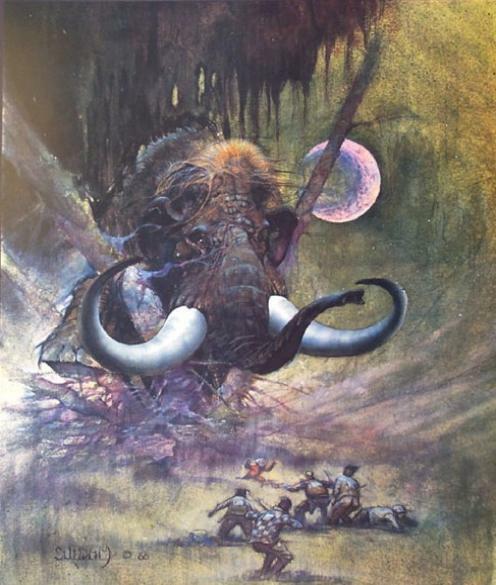 Arthur Suydam’s Mammoth was published as a poster/print in both an unsigned and a signed and limited edition by Glimmer Graphics in 1990, and it appears that copies of both editions are still available. I borrowed the image of Mammoth from the Glimmer Graphics site. Suydam’s stories in Heavy Metal and Epic Illustrated were among the best those magazines had to offer. Frazetta, of course, is Frazetta.